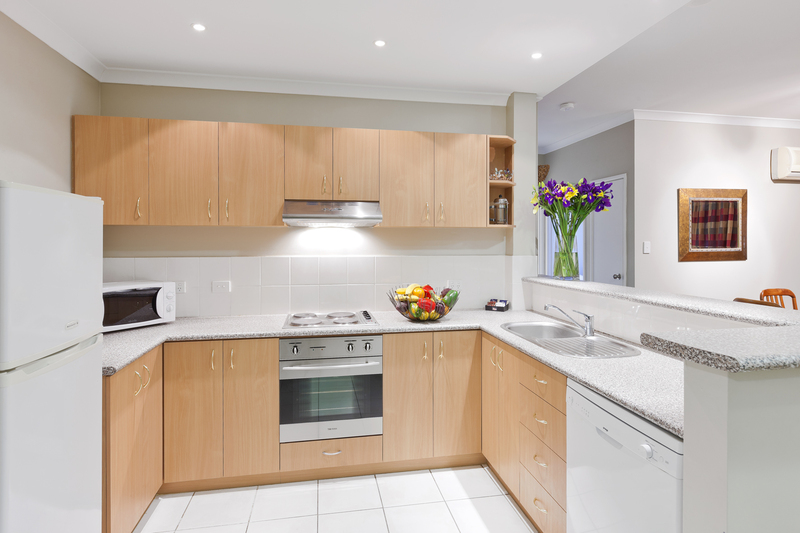 Tastefully decorated and fully equipped. This apartment has everything that you could need for your stay. 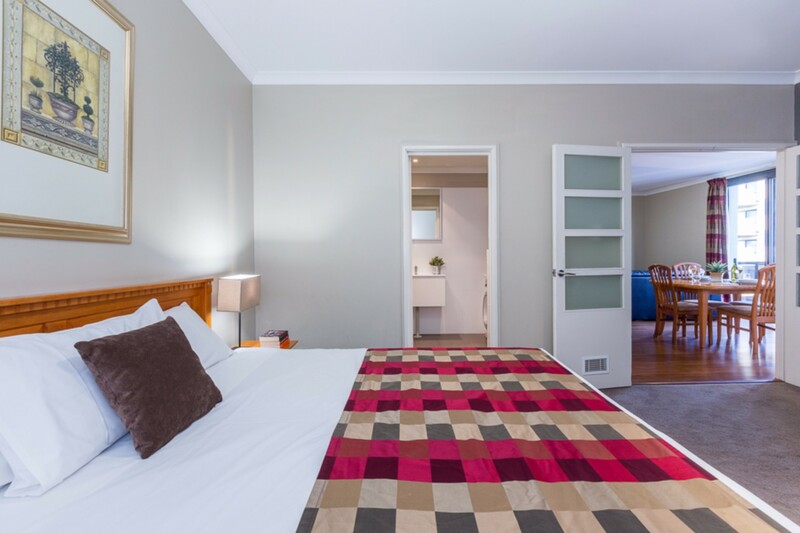 It comprises of 2 bedrooms - one containing a queen bed, and the other containing two single beds. The single beds can be converted into a king bed but this should be advised before your arrival. 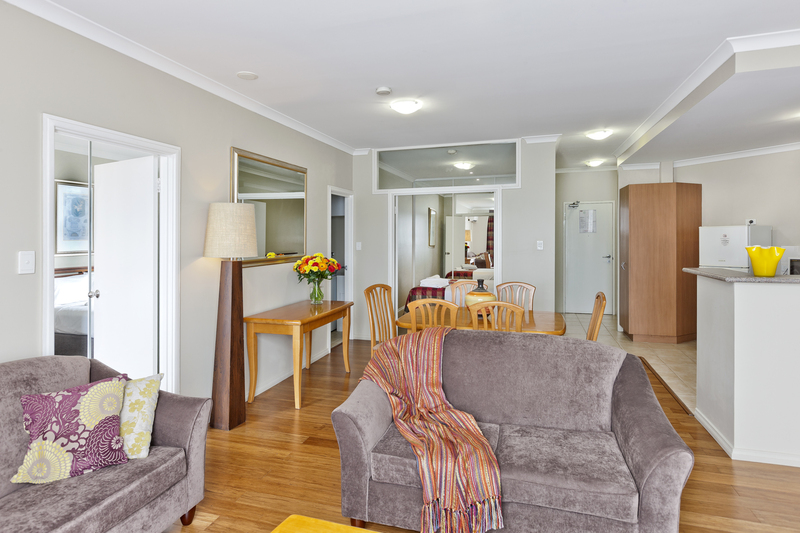 It is like having your own apartment in a sought after location of perth. You will feel right at home and can use your base to take full advantage of the prime, central location. The 1.5 bathroom denotes a bathroom with a toilet in the apartment as well as another separate toilet. The 2 sofas in the room are able to be converted into sofabeds. There is an additional charge of $30 per person per night for linen when using the sofa beds.